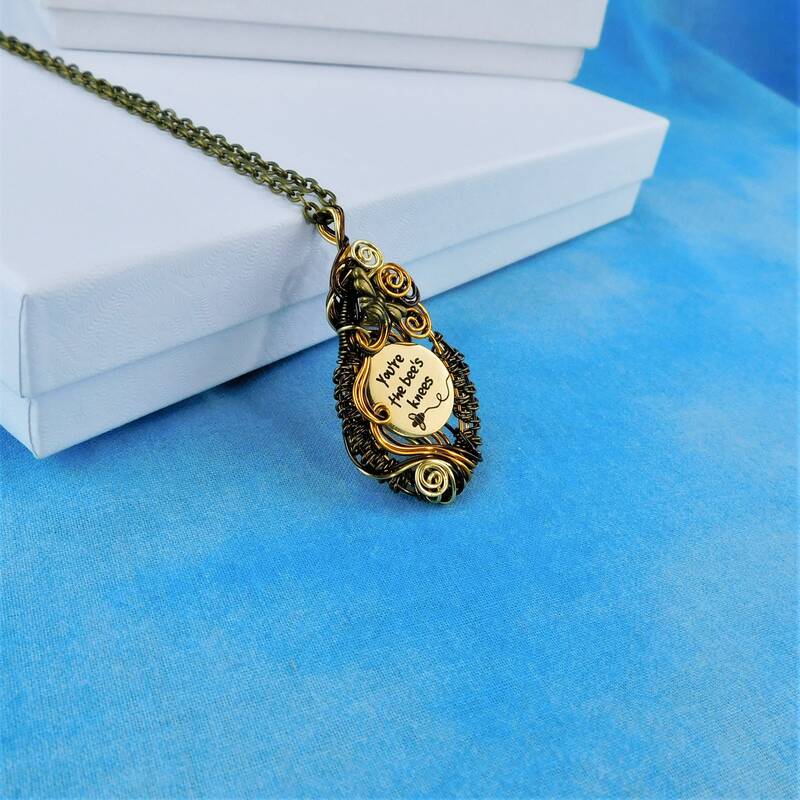 Three shades of non tarnish copper wire are artistically hand woven, incorporating a bronze metal bee and a gold colored stainless steel charm that states "You're the Bees Knees" . 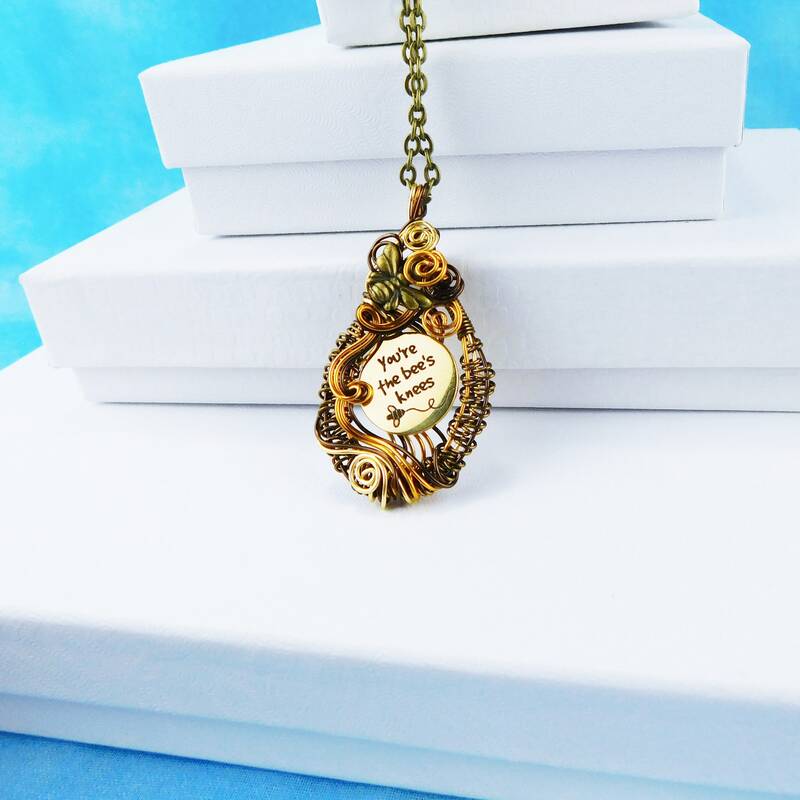 The bee seems to buzz around the wire leaves and vines, and the sentiment speaks to any beekeeper, or lover of bees. 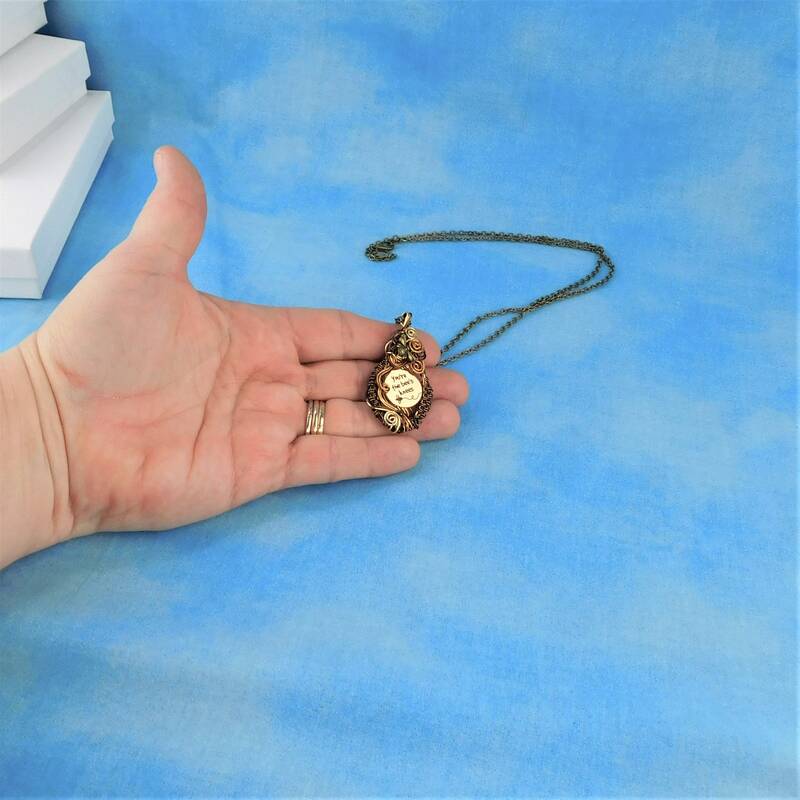 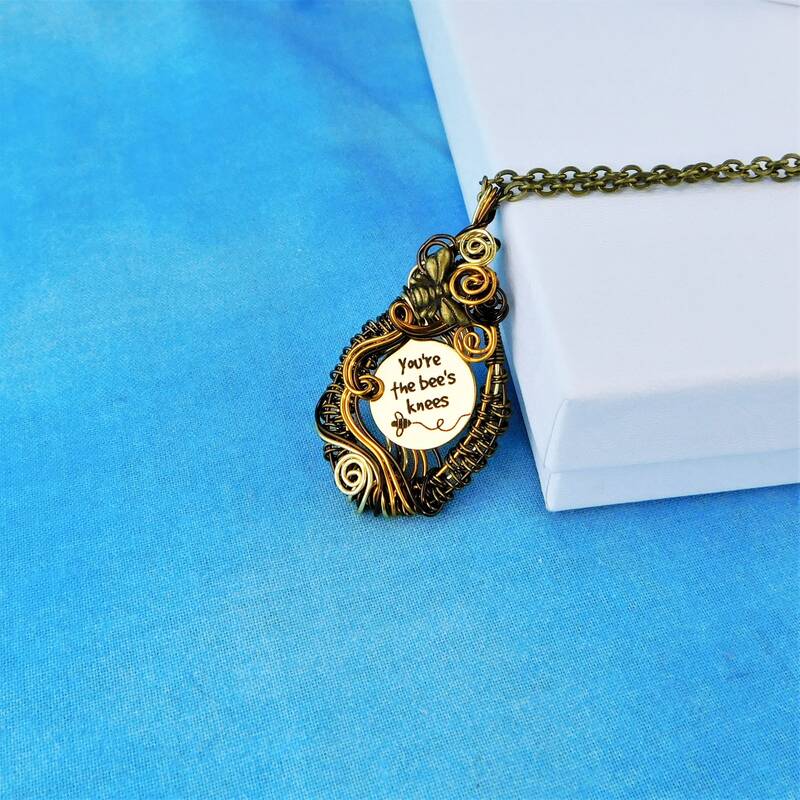 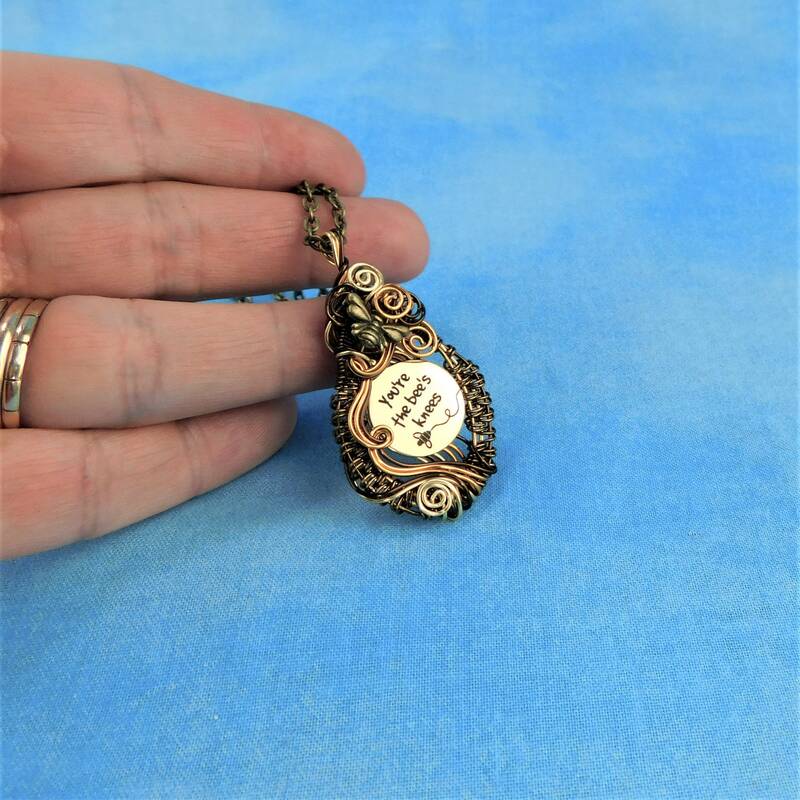 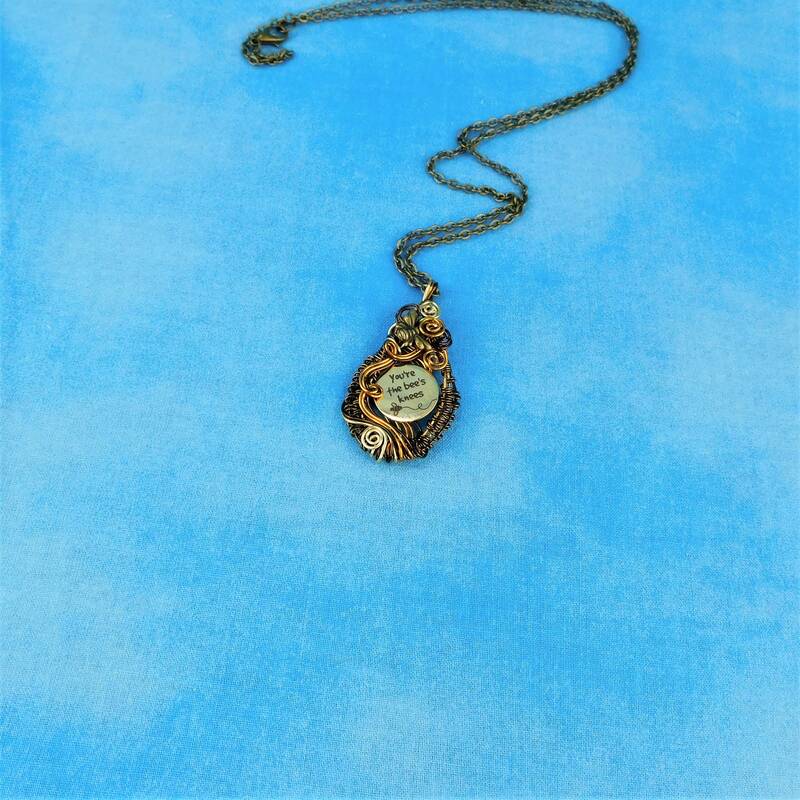 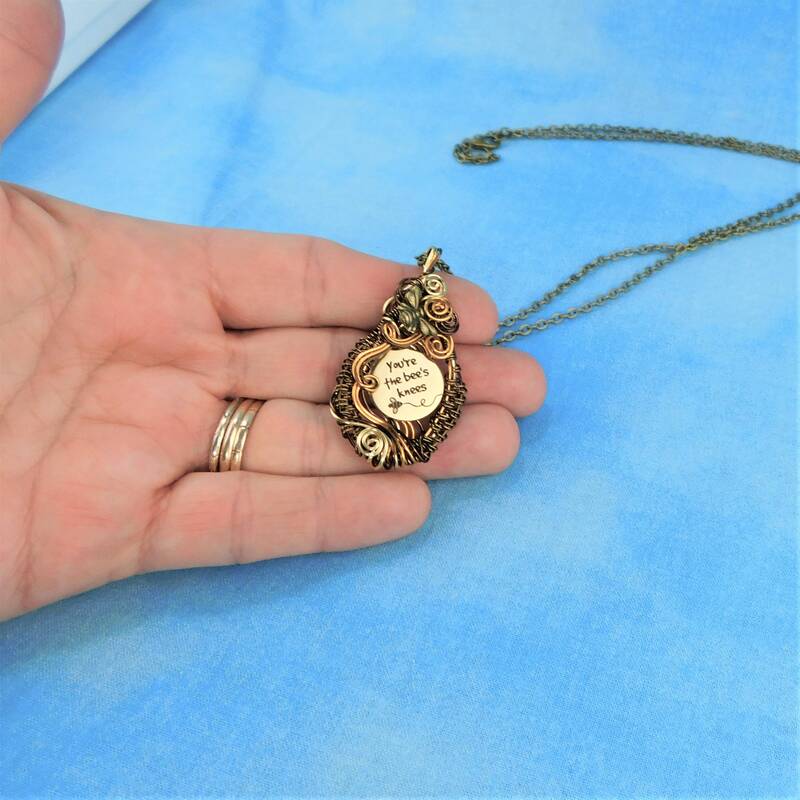 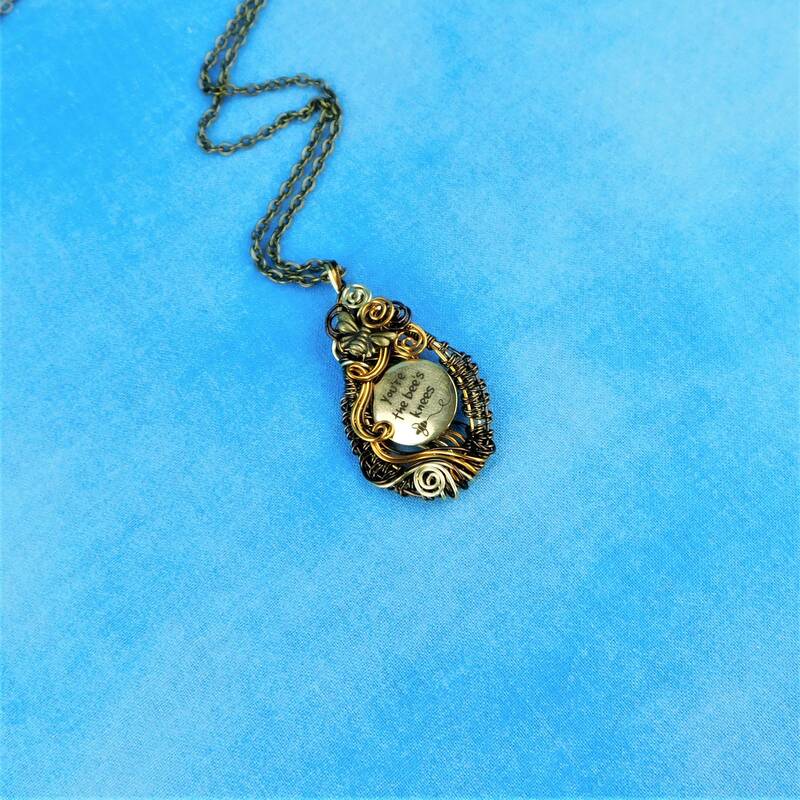 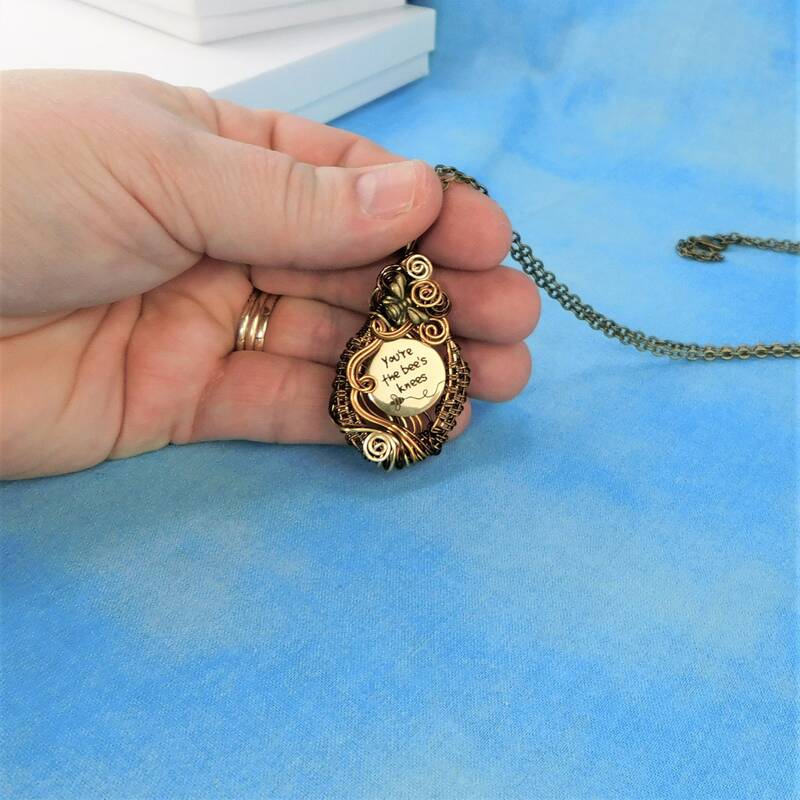 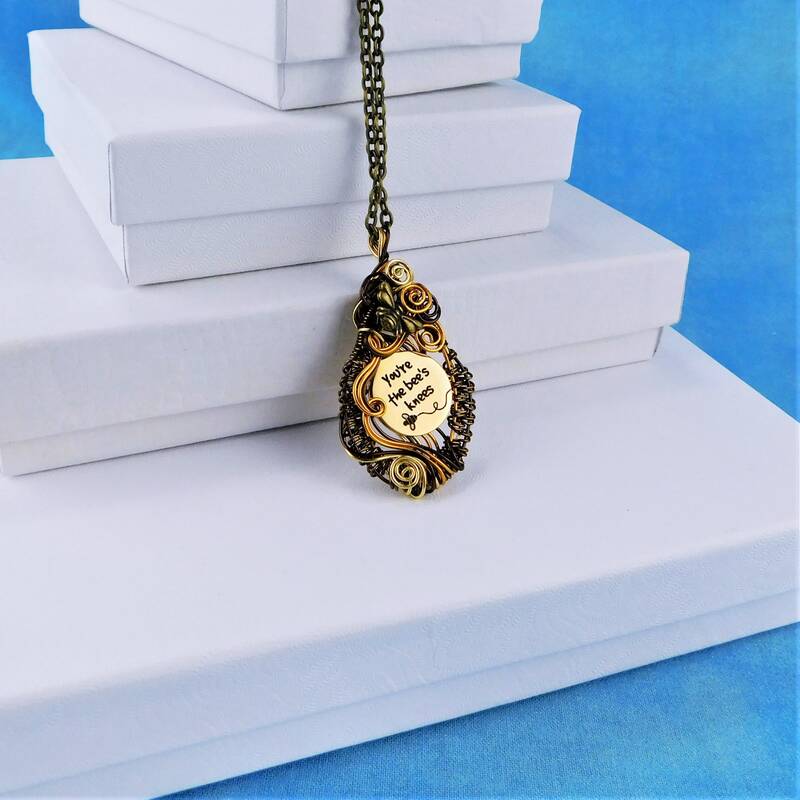 The pendant measures 1 1/2 inches by 1 inch and comes with a FREE coordinating copper chain with lobster claw clasp, measured to your preferred length.